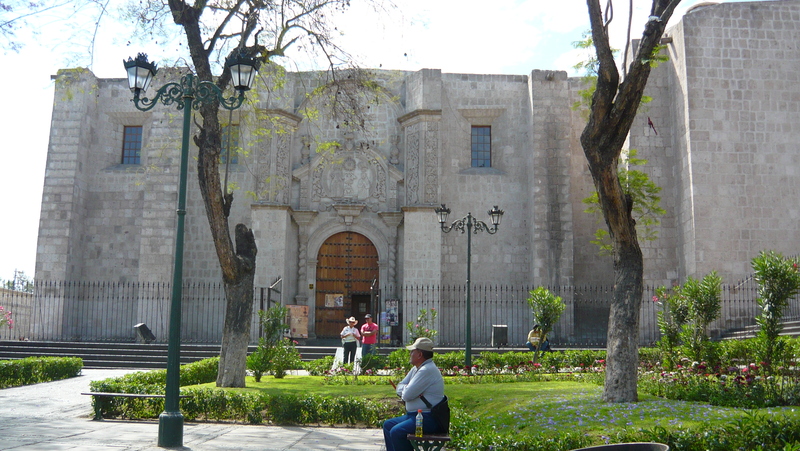 I really enjoyed reading about your adventure in Arequipa! 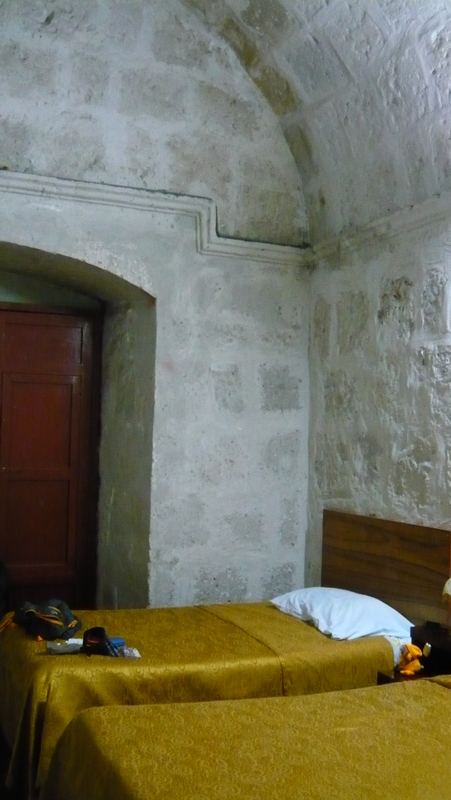 The picture of the hostel looks nice, but your description doesn’t sound so good…lol…especially that musty smell :-). It’s great that you found some cool people to hang out with. That was funny about the guy whose only English phrase was “hello baby, I’m crazy for you”. Good going that Samuel paid this time around. I wonder if Perhaps I saw him while I was there. I saw a couple of street performers and jugglers. Lol…I would sometimes think, they’re probably making more than teachers. Well, I would also think that about the bootleggers selling their DVDs on the streets everyday. Sorry about that meal from Cruz del Sur. I’m not sure if Oltursa has routes to the other places you plan to go, but I think it’s much better. I rode with both, and I was most comfortable on Oltursa. It’s a little more expensive, though. Yes, that particular terminal (for Oltursa, Cruz del Sur, etc.) charges a fee to the taxis to enter the lot. Some taxis will just include it in your fee. The other terminal (where the other buses depart/arrive) doesn’t cost extra for taxis to enter. Thanks Taiwanda. 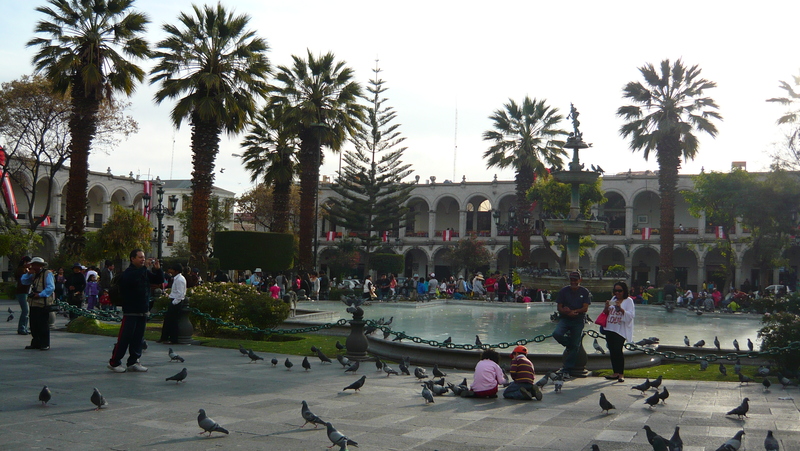 That was my first time in Arequipa. Have been back twice more now (once only overnight on my way to Moquegua). 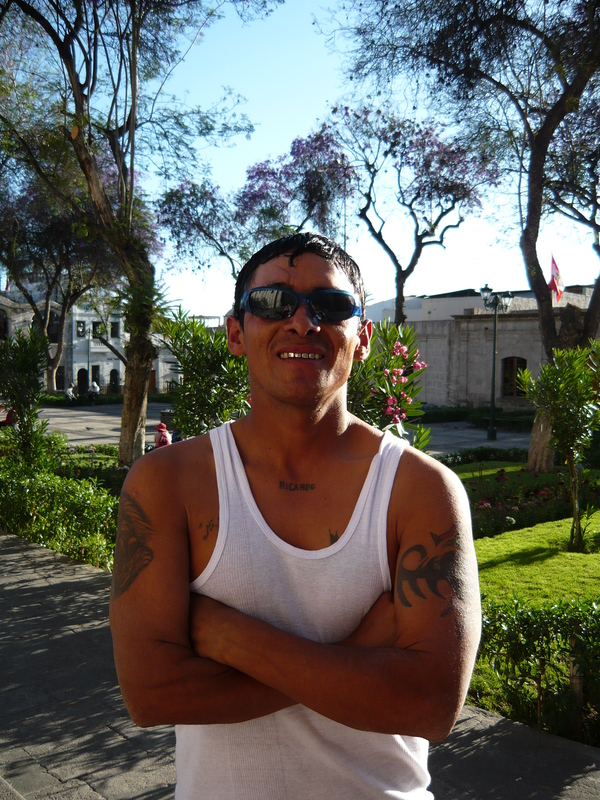 You just have to have a laugh with the guys who chat to you on the street…the Peruvians are very friendly as you no doubt know! I was tossing up getting an Oltursa bus from Lima to Trujillo but got into Lima in time to get the next Cruz del Sur bus to Trujillo. Cruz del Sur service seems to vary. 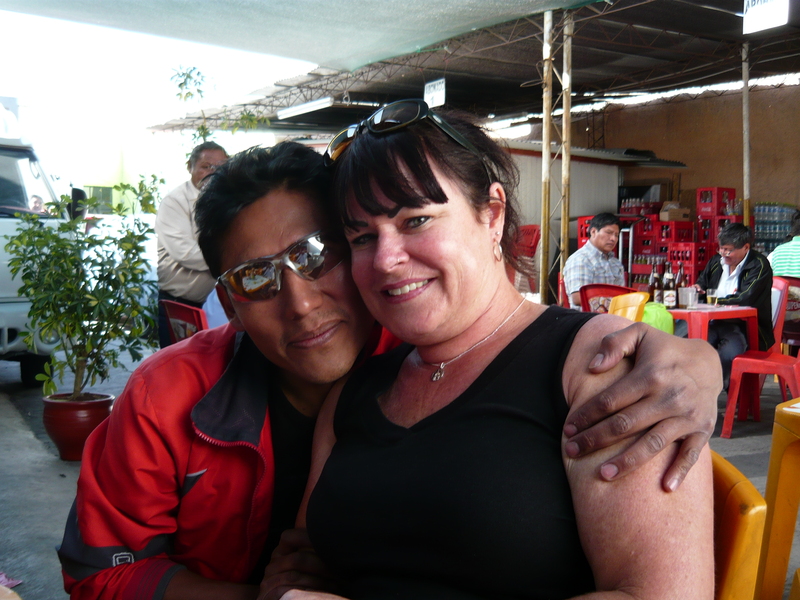 I have had three Cruz del Sur trips now and the second was the best. The last one I got a cama seat but the screens weren’t working so no movie or internet. Only the movies on the main screen. The sacrifices are really sad to read about but I guess at that time the knew no better. It was just part of life. You’re welcome :-). 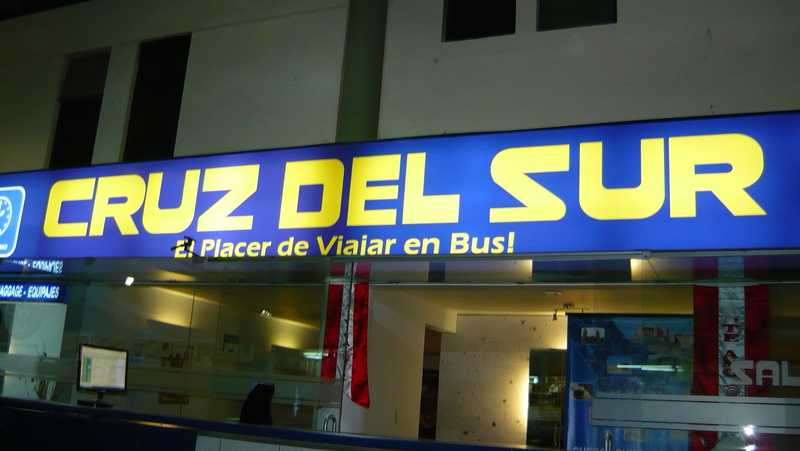 Yes, I guess Cruz del Sur’s service does vary then, as you said. I used their service to go to Lima when I was leaving. 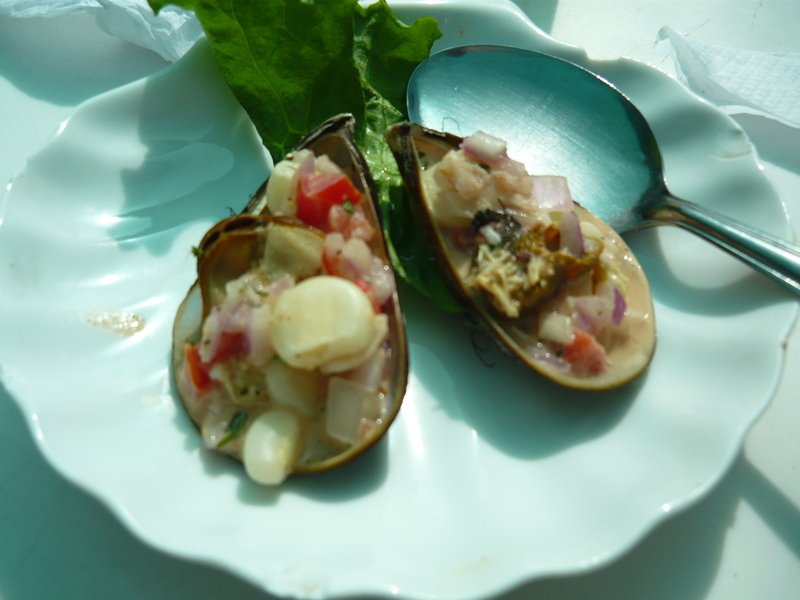 A previous colleague who moved to Lima and offered to help me if I came to Lima had told me that Cruz del Sur was never on time in his experience with them and had expected me to arrive there at least several hours late, as he said they usually were. Fortunately, we arrived on time, maybe even earlier than expected. However, it was a pretty crowded bus. Oltursa has more space on their bus and the seats were more comfortable to me. Enjoy your time my dear friend!